The Grand Tour, for all our eagerness to get hold of every episode and all our goodwill towards Messrs Clarkson, Hammond and May, has never achieved full separation from the memory of Top Gear’s glory years. That, though, might be about to change. News that Amazon Game Studios has developed a video game based on the hit car show has thrown open a whole new sphere of engagement potential. 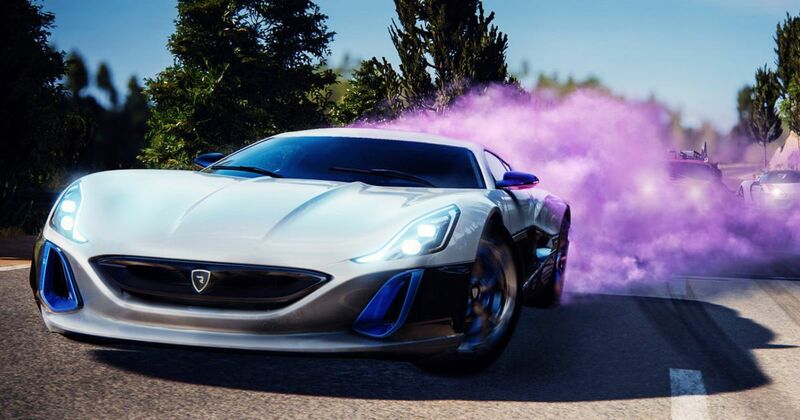 The world has never known such a dedicated and financially willing audience of gamers as it does right now, so tying a car game into The Grand Tour could be a master-stroke. Or, maybe, it could be a gargantuan egg ready to be cracked all over the faces of its high-profile stars. We all sometimes wish we could swap seats with our favourite former Top Gear presenters. To take to the street in a trio of awesome new cars; you and two best mates on the adventure of a lifetime, mimicking the exact routes and cars as seen on the show. 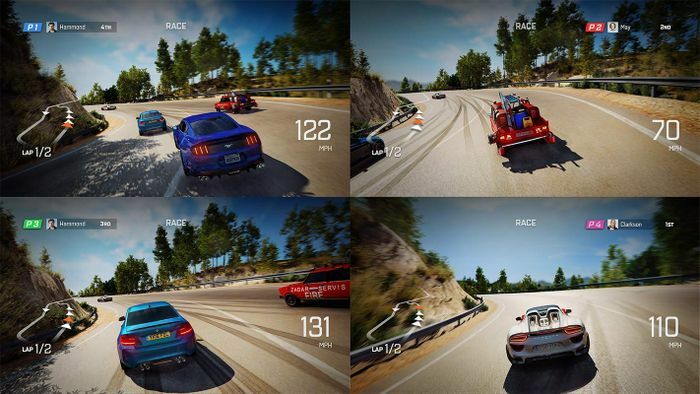 Delicate shavings of that thrill have been distilled into a Grand Tour game that charts the highlights of the show’s first two series. Not only that, but the game will also feature tantalising ‘live’ weekly updates that will let players have a go at scenes they just watched on TV. Maybe it’ll be attempting a speed record at the Bonneville salt flats, or manoeuvring a tank through a field of James May’s valued personal possessions. That chance for a double-shot of instant gratification is potentially a mighty upgrade from simply watching the show on its own. The most interesting question here is the ‘why’ behind the ‘why’. The ‘why’ is because gaming is so popular, but the question behind it is why the show, supposedly unequalled in popularity while Top Gear cycles through presenters and approaches amid modest viewing figures, even need this strap-on ego booster? Isn’t it enough on its own? Answers depend on your point of view. There’s a strong and nakedly obvious argument that if this, probably the most expensive car show ever made, needs even more large-scale investment to succeed then the show itself simply isn’t good enough. That, or to be more calculating, it doesn’t provide the net big-picture commercial gain Amazon now needs it to if it’s to continue beyond a third series. The opposing take is more progressive. The world of entertainment and technology moves on with the whims of its audience, and always has. Once, silent movies were enough. Once, cassettes were enough. Once, dial-up Internet connections were enough. Maybe we should be asking not whether a show-linked game is necessary, but how it could have taken so long for gaming and TV to get together for a little (ahem) Netflix and chill. 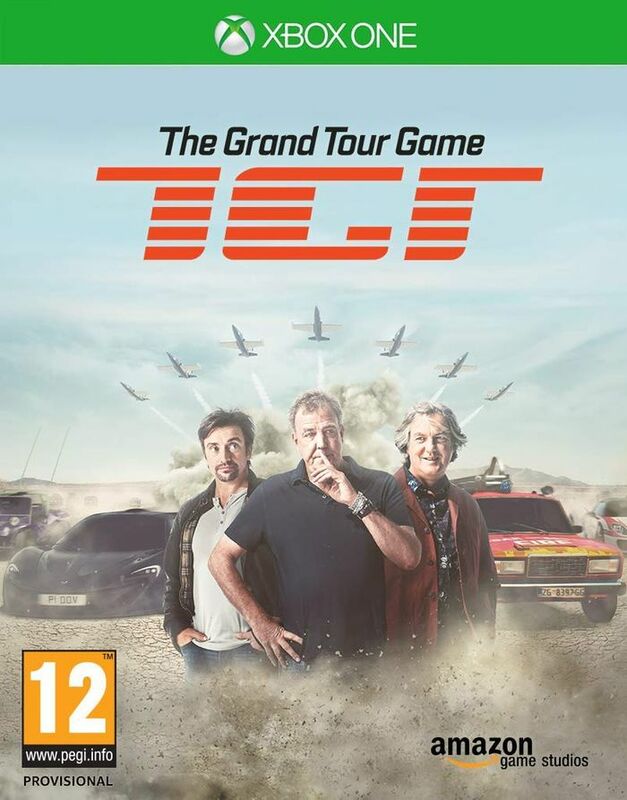 When the big, glossy features are filmed so many months in advance there’s plenty of time to apply the unique Grand Tour graphics and narrative voice-over to an existing racing game engine, and as ever, the three cover stars are the whole enterprise’s biggest source of cross-over appeal. Although actual details are as scarce as space-travelling salmon, we do know the game will be heavily dosed with the personas of the show’s three front-line protagonists. You can drive under the guise of your favourite host, in cars they actually drove in the show, just after watching it. We’ve got to admit that it’s brilliant, in theory. What it will cost, and whether or not it will work remain to be seen. If it takes off, expect everyone to be doing it by 2020. If it’s slammed as a gimmick and accelerates a calamitous downfall for The Grand Tour? As the saying goes, the line between genius and madness is judged only by success.